The match is to be played at the Maracana Stadium in Rio de Janeiro on Friday (local time). At the same venue itself, the two teams had fought, and hosts were defeated by the visitors via penalties. The match result turned the whole stadium to go in deep silence. However, the group stage wasn’t in the favor of Sweden women’s football team. Their performance wasn’t impressive as they came third in the Pool E while Brazil captured the first position. But the scenario got changed in the knockout stages as the European team defeated the United States and then beat the hosts in the next round. Likewise, Germany didn’t perform the best in the group stages. But they did score a lot of goals. Moreover, they impressed the fans with their performance in the knockout stages. The team beat the strong teams like China and Canada in the quarterfinals and semifinals to reach the final game. Melanie Behringer and Sara Dabritz proved to be the best-attacking players in the team for Germany. The duo scored a total of eight goals in the last five games of Rio 2016. Both the teams of Germany, i.e., Men’s football and women’s football have already reached the finals. Both of having a high chance of winning the gold in the final of Olympics 2016. If they successfully win both the golds, then it will prove to be a positive turning point for the coming years of German football. Till date, the women’s team of Germany football has never won a single gold, but have won three bronze so far and that too, in the last three Olympic games. On the other hand, the Swedish team has never a single medal so far in the tournament history. 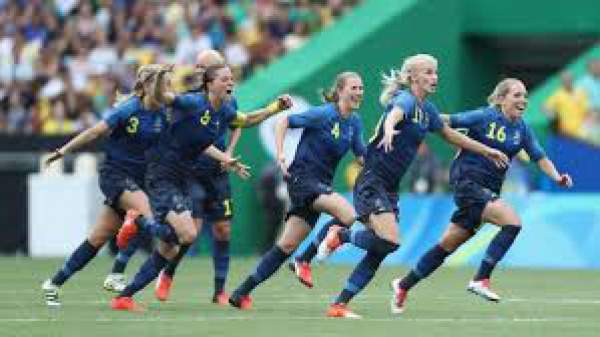 Rio 2016 women football final (Swe v Ger) is to take place at 2 am IST on August 19. India: TV: Star Sports Network. Live streaming: Hotstar. UK: TV: BBC Red Button. Live streaming: BBC iPlayer. USA: TV: NBC Sports. Live Streaming: NBC Olympics. Germany: TV: ZDF. Live streaming: SRF Zwei. Denmark: TV: TV2 Denmark. Live stream: None.